LeDroit Park is a neighborhood in Washington, D.C. located immediately southeast of Howard University. 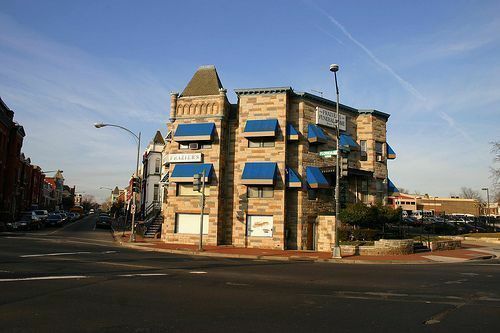 As one of the first suburbs of Washington, LeDroit Park was developed and marketed as a “romantic” neighborhood with narrow tree-lined streets that bore the same names as the trees that shaded them, differing from the street names used in the rest of the city. Extensive focus was placed on the landscaping of this neighborhood, as developers spent a large sum of money to plant flower beds and trees to attract high profile professionals from the city. One of LeDroit’s most recognizable features is its Victorian mansions, houses and row-houses, designed by architect James McGill. The neighborhood’s historic value is officially recognized as the LeDroit Park Historic District. The historic district includes the Mary Church Terrell House, a U.S. National Historic Landmark. The neighborhood was awarded a place on the National Register of Historic Places in 1974. 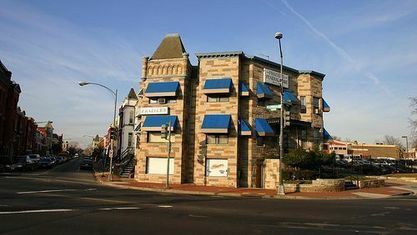 Its borders include W Street to the north, Rhode Island Avenue and Florida Avenueto the south, Second Street NW to the east, and Howard University to the west. Rhode Island Metro Station (Red Line). Note: This is a bit of a walking distance. The neighborhood was founded in 1873 by Amzi Barber, a businessman who served on the board of trustees of neighboring Howard University. Barber named the neighborhood after his father-in-law, LeDroict Langdon, but dropped the ‘c’. Originally a whites-only neighborhood, LeDroit Park was even gated with guards to promote security for its residents. Efforts by many, especially multiple actions by students from Howard University, led to the integration of the area. In July 1888 students tore down the fences that separated the neighborhood in protest of its discriminating policies. By the 1940s LeDroit Park became a major focal point for the African-American elite as many prominent figures resided there. Griffith Stadium was also located here until 1965, when the Howard University Hospital was built where it used to stand. Le Droit Park includes Anna J. Cooper Circle, named for the education pioneer. None of the original 64 homes Architect James McGill designed in LeDroit Park were identical and most were built between 1873 and 1877. Today, 50 of the original homes remain. McGill was also a member of the LeDroit Park Property Owners Association, a precursor to the LeDroit Park Civic Association, which is active today. Today, LeDroit Park residents represent a wide variety of ethnic groups. The diversity entices new residents to the community, as well as its close proximity to the Shaw–Howard UniversityMetro station and many dining options. Get to know Ledroit Park better with our featured images and videos.